Steve Biko was not only considered a `brilliant political theorist', but is also considered `a formidable and articulate philosopher'. 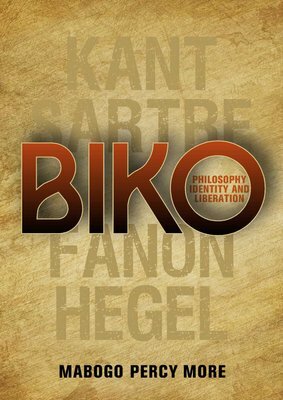 However, Biko is not simply and merely a philosopher in the manner in which Immanuel Kant was a philosopher, but a philosopher of a special kind, an important Africana existential philosopher. In Biko: Philosophy, Identity & Liberation the author adds another commonly ignored perspective on Biko, namely the philosophical dimensions of Biko's thought. From Biko's writings, speeches and interviews it is easy to notice that in his view, philosophy is not a disembodied system of ideas nor is it a mechanical reflection about the world; rather, it is a way of existing and acting. To be a philosopher, especially an Africana existential philosopher, is not just to hold certain views, it is a way of perceiving and a way of being in the world, what Biko himself describes as `a way of life'. This important perspective on Biko would be of value to many Africana philosophers of existence, African philosophers, political and social thinkers, social scientists, psychologists, cultural critics, political activists, students, critical race theorists and anyone interested in the ideas that Biko presents.